It’s clear that pinball has always been one of the most exciting arcade games out there, even if real pinball tables are getting harder and harder to find, with people having to settle for virtual pinball games on consoles or PCs instead. But still, virtual flippers and steel balls can be just as amusing as the real variety as the pretty good Pinball FX2 game (which is available on the Steam video game store) has proved in the past. 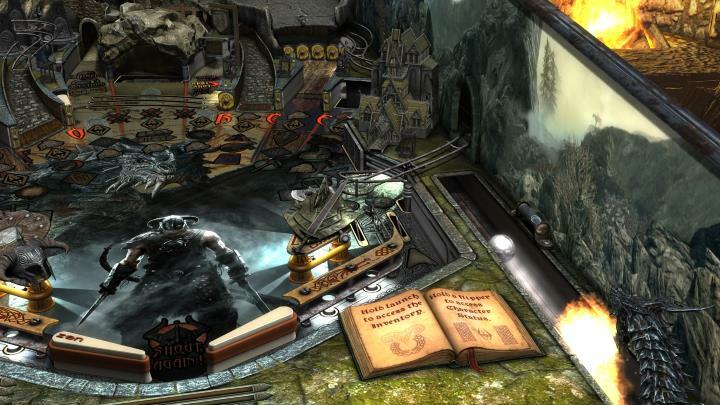 This game lets players enjoy a series of pinball tables free of charge for a limited period of time, having to pay for tables after the trial period is over. Currently there are several packs available featuring themed pinball tables based on Star Wars, Marvel characters and Aliens, and now the latest table pack available is based on Bethesda’s hottest video game properties: Skyrim, Fallout and Doom. So the release of Bethesda Pinball will certainly be good news for pinball fans and obviously a dream come true for those fond of Pinball FX2 and Bethesda’s video games, especially if the new tables, which are available on Steam now, are as good as the great Bethesda games they are based on and the earlier table packs for Pinball FX2.